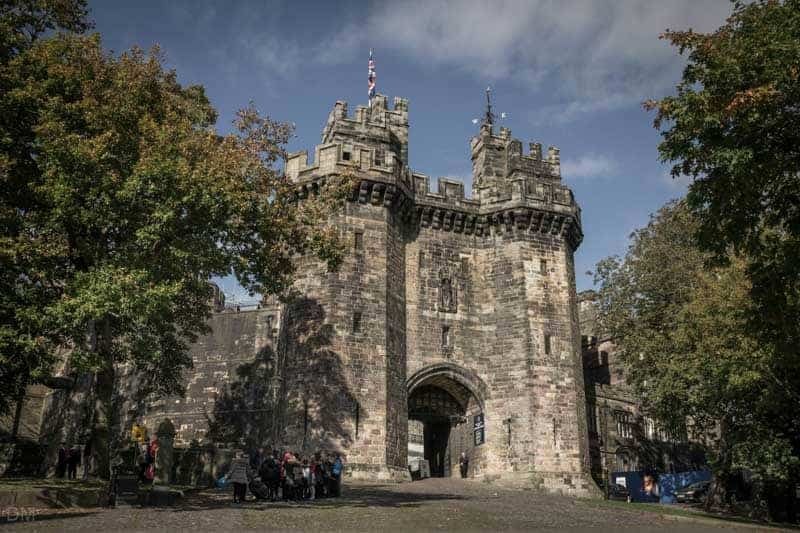 It is commonly believed that Lancaster Castle was founded at the end of the 11th century by Roger de Poitou, an Anglo-Norman aristocrat who was given a large part of Lancashire by William II. The original castle was built on the site of an old Roman fort and was a timber construction. Over the years it was heavily fortified, modified, and extended. Throughout its lifetime Lancaster Castle has been a court and a place of punishment. The Pendle Witches and the Birmingham Six were tried here. From 1955 it functioned as HMP Lancaster Castle, a prison used to house just over 200 Category C prisoners. In 2011, Ken Clarke, Secretary of State for Justice, announced the closure of the prison. Lancaster Castle is open seven days a week (with breaks around Christmas and New Year). Admission is by guided tours only, but advance booking is not required. At the time of writing (October 2014) tour tickets cost £8 for adults and £6.50 for children/seniors. Family tickets priced at £20 are also available. There is still a functioning court at the castle. On weekdays tours of the court areas may be restricted. 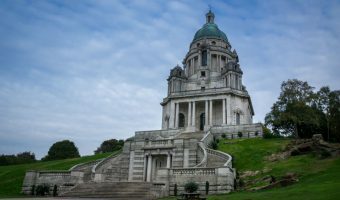 Special tours (for children, Halloween etc.) are held throughout the year. See the official Lancaster Castle website for further information. The Keep is the oldest part of the castle and is thought to have been built in the mid-12th century by David I of Scotland. The four-storey tower is 66 feet high and its outer walls are 10 feet thick. The upper storey was rebuilt in the late 16th century to guard against a possible Spanish invasion. The Gatehouse consists of the main entrance, protected by a portcullis and flanked by two semi-octagonal towers. It was built at the beginning of the 15th century by Henry IV. The Shire Hall and Crown Court stand at the western end of the castle. The building was designed by architect Thomas Harrison and finished in 1798. The interiors were completed in 1802 by artist Joseph Gandy. This magnificent 10-sided room contains a display of over 600 heraldic shields. Hadrian’s Tower stands at the south-western corner of the castle and dates back to the early 13th century. The exterior of the tower was refaced in the 18th century but the original stonework is still visible from the inside. Hadrian’s Tower contains a number of interesting artefacts relating to the castle’s history. The scold’s bridle was used as a punishment for gossiping women. The iron cage-like device was fitted to the woman’s head and has a protruding tongue piece which was inserted into the mouth to restrain the tongue. Other items include shackles and chains used for prisoners being deported to Australia, and lunatic chairs and a straightjacket dating from the time when the castle was a lunatic asylum. There’s also a Roman altar, discovered in the late 18th century during the construction of Shire Hall. The Well Tower dates from the early 14th century. It is also known as the Witches’ Tower as it was used to imprison the Pendle Witches prior to their trial. The old cells were rediscovered in 1931. 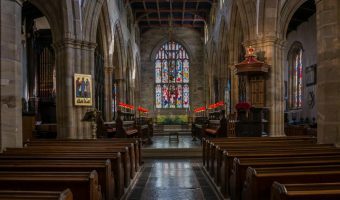 They are small and cramped and would only have been lit from a small opening above the 2-inch thick 16th century solid oak doors. Until 1835 the court at Lancaster Castle was the only one in Lancashire allowed to host assizes (periodic criminal courts hearing the most serious cases). Over the years the hundreds were sentenced to death here, and thousands more sent to prison or deported. The court today has changed very little since it was built over 200 years ago. Items of interest include the branding iron at the back of the dock. The Drop Room stands at the north-western end of the castle and was used to prepare prisoners for execution. Condemned prisoners would be led out of here to Hanging Corner where their death would be watched by large crowds. The last public execution at the castle took place in 1865. Public executions were banned in the UK in 1868, but executions were performed inside the castle until 1910. Today, the Drop Room is the place where juries retire to consider their verdict. It contains a number of interesting items such as Jane Scott’s Chair (used in the 1828 execution of Jane Scott – a murderer who was so weak she was carried to the gallows on this chair) and the Hanging Bell (formerly housed in the Gatehouse and rung for executions). This room is situated above the Drop Room and was where the grand jury met to decide whether there was enough evidence in a case to justify it going to trial. England abolished grand juries in 1933 and today the room contains some fine examples of 19th century Gillow furniture. Lancaster Castle sits on a hill at the north-western corner of the city centre, next to Lancaster Priory, the Cottage Museum, and the Judges’ Lodgings. 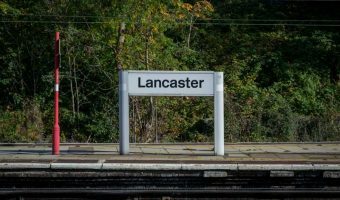 Lancaster Train Station and Lancaster Visitor Information Centre are just a short walk away. Lancaster Bus Station is also nearby. Short-stay pay-and-display car parking is available on Castle Hill and St Mary’s Parade, the streets immediately south of the castle. Longer-term parking options can be found at the Parksafe car park on Damside Street and Lancaster City Council’s car park on Dallas Road. Map showing location of Lancaster Castle. I went there on Saturday. The guide was fantastic. I would recommend it to anybody. Wonderful to visit a working castle with a history going back so far. Whilst visiting the cells of the past I was trying to picture the cells of the present. Excellent gentleman guide. Certainly one of the best castles we have visited. I recently visited the castle, it was magnificent. The guide however was appauling. He was the most boring human being alive, he gave very little information about the witches offences, trial or hangings but seemed intent on telling us how many steps we had climbed / descended. A waste of a good opportunity. The guided tours also include the Grand Jury Room with its fantastic Gillow furniture (see also Leighton Hall).